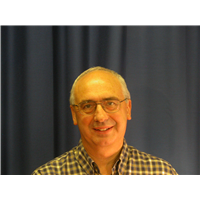 Dr John Neugebauer FCIPD is a Client Director at Bristol Business School, University of the West of England. He has had international and UK experience as an HR executive and has researched managerial careers and taught with the Open University, Bath University and Bristol University. He is an external examiner at Plymouth Business School, and Bristol University Dental School. Prior to his academic career, he was Head of HR for a national organisation. He is a qualified coach, and has had extensive experience working and consulting in private sector (national and international), public sector, and third sector organisations.